aikie wrote: We're very pleased with this component, but we're missing the feature to search in the events list by date. now we have to add 2 lines to the "events.php" on every update. We have over 300 events every year which are imported from a csv-file in januari. Could you please add the following lines to /administrator/components/com_icagenda/models/events.php?
' OR e.startdate LIKE ' . $search .
' OR e.enddate LIKE ' . $search . This would probably benefit more people, because then they can search events by date as an administrator. This will be added in next maintenance release 3.7.7 to be released before new year (+ period and dates fields search as well as startdate and enddate). Last edit: 4 months 1 day ago by Lyr!C. Then insert this tag [URL_CANCEL] where you want to place the cancellation link. Last edit: 4 months 14 hours ago by dolmenhir. dolmenhir wrote: Then insert this tag [URL_CANCEL] where you want to place the cancellation link. 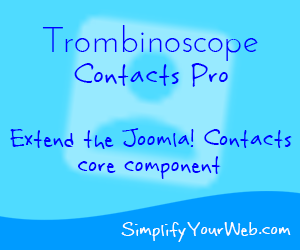 Just that this tag will work for now only with joomla registered users who have register for an event. A little request regarding the event registration frontend: For the text of the registration button you use the Joomla global ID JREGISTER. We would, however, like to be able to change the text of this button without overriding the global text - as we don't know, where else it might be used. Could you therefore introduce a separate text ID for this button? Last edit: 3 months 3 weeks ago by sba. sba wrote: A little request regarding the event registration frontend: For the text of the registration button you use the Joomla global ID JREGISTER. You're right, COM_ICAGENDA_REGISTRATION_REGISTER_BTN should work, but it's a bug! I will fix it for next maintenance release 3.7.7 coming soon (next week). Last edit: 3 months 2 weeks ago by Lyr!C. As of version 3.7.8 neither the user nor the event owner will receive a notification when a registration is cancelled. Will this be included in 3.8? It would be quite useful. HI Cyril. I have made a smart search plugin for icagenda events can you please review it and add to your package. I would like to ask you for a new field on event, it's the alt tag for the event image. cmfz wrote: ICagenda with smart search. I've plans later to add alt tag as well as a copyright option for event image. The first step will be to do the same as for Joomla articles image, and later to add some extra function. So, notification emails when cancellation for user (to confirm) and for event owner and admin (to inform). And working on it gave me some other ideas of improvements for later!